Classy 4 bedroom, 2 living, 2 bathroom home in quiet court, 60mtrs from play ground and zoned to Ballarat High School. This spacious 4 bedroom property in popular Alfredton has a touch of class and is beautifully presented. Large master bedroom with views over the rear garden walk through robe to ensuite, The chefs kitchen with stainless steel appliances including 900ml cooktop and dishwasher leads into the dining and family room which opens onto the outdoor entertaining area, the separate formal lounge room boasts an open fire place with top notch furnishings and floor coverings. 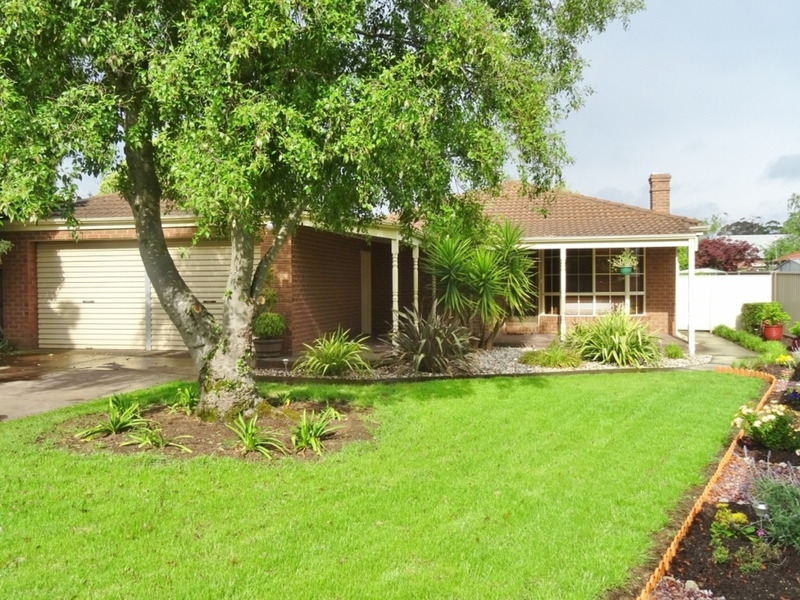 Positioned in a quiet court in Ballarat's leading suburb the home is just 60mtrs from a children play ground oh so close to both Alfredton and St Thomas More primary schools. Best of all this family home is in the Ballarat High School zone. An inspection is recommended as it wont disappoint.